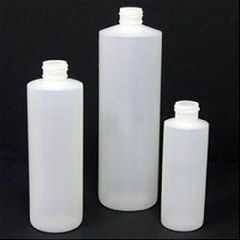 This is our selection of empty plastic bottles made of HDPE (high-density polyethylene, recycle code 2) plastic. They are available in 2oz, 4oz and 8oz capacity. Caps and pumps are sold separately.